Strolling in flip-flops across the hot summer streets or rocking those fancy heels all day long in the office can take a toll on your delicate feet. All you want to do is get home as soon as you can and get rid of those feet traps. In fact, our feet are one of the most neglected parts of our bodies. Every day we expose them to constant stress from standing and walking around, not to mention pollution and grime when donning summer sandals. More often than not, they don’t get the much-deserved care that they need. As a result, your feet can develop painful cracks and look shabby due to the accumulated dead skin. Visiting a fancy salon or getting a fish pedicure are always options. But let’s get real. Not all of us are spendthrifts and weekends are meant for lazing around watching Netflix at home. But that shouldn’t stop you from grooming your feet from time to time. 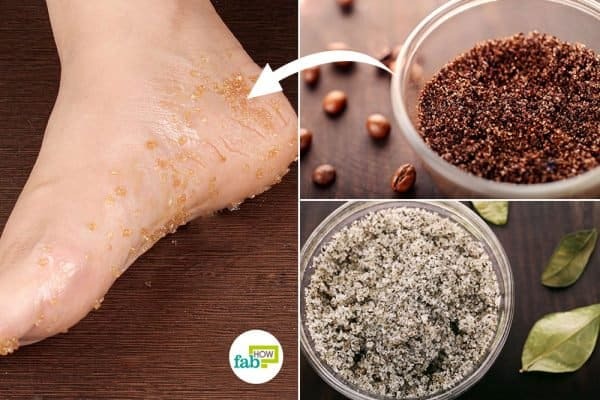 You can give your feet some extra TLC by making and using your own foot scrubs that are 100% effective and extremely inexpensive. All you need is a handful of exfoliating and nourishing ingredients. And trust us, all of these are right there in your kitchen. 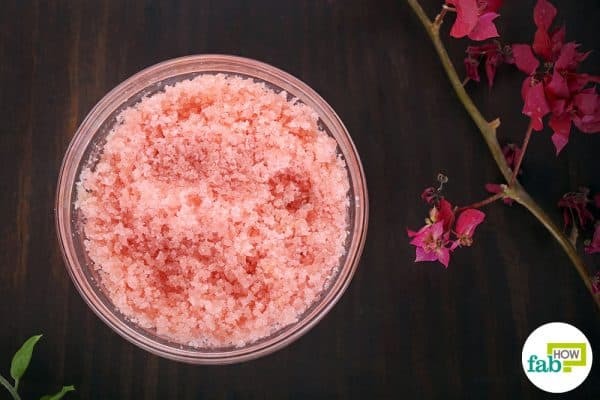 Here are the four best homemade foot scrub recipes that not only smell heavenly but will give your worn-out soles a soothing and refreshing spa-like treatment at home. 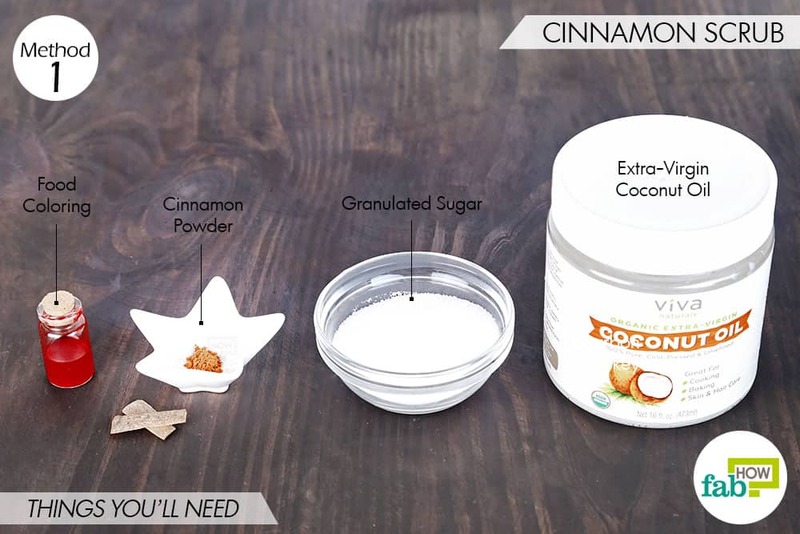 To make your feet smell like the holidays, use this cinnamon-based foot scrub. The sweet, woody fragrant spice is rich in antioxidants that will not only slough off the hardened skin on your feet but also leave it softer and smoother. Cinnamon is also a powerful antiseptic that will keep foot infections at bay and can also be used to get rid of acne. 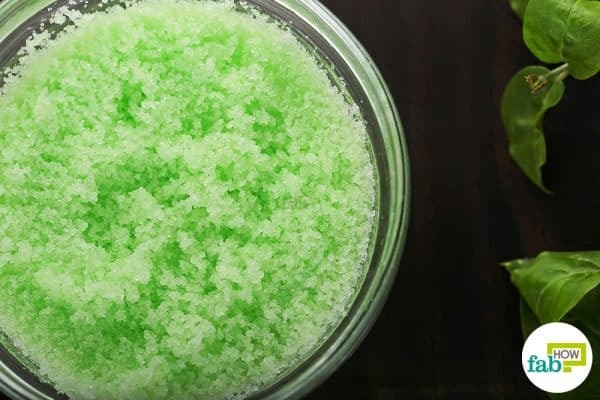 This scrub also contains extra-virgin coconut oil to fill up the cracks on your feet and deeply nourish the skin. This scrub uses granulated sugar as the exfoliating agent, as it is gentler on the skin than salt-based scrubs. Put ¼ cup of granulated sugar in a bowl. Add a ⅛ teaspoon of cinnamon powder. 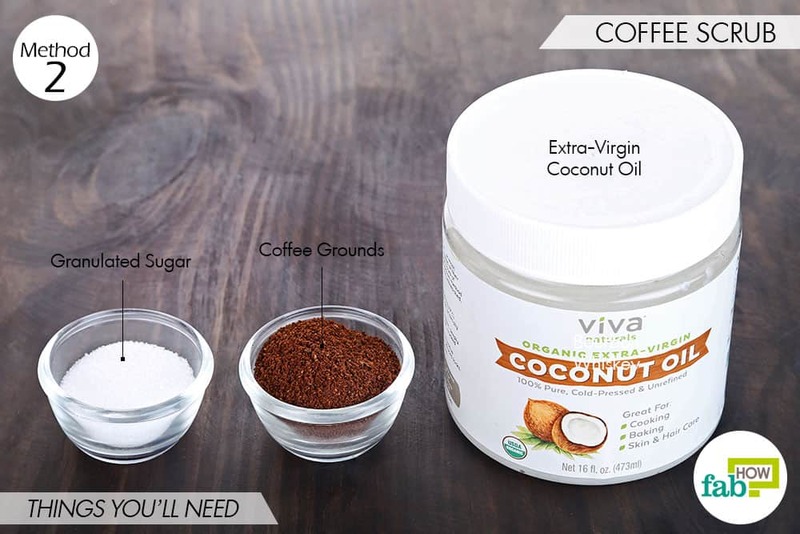 Add 2 tablespoons of extra-virgin coconut oil. 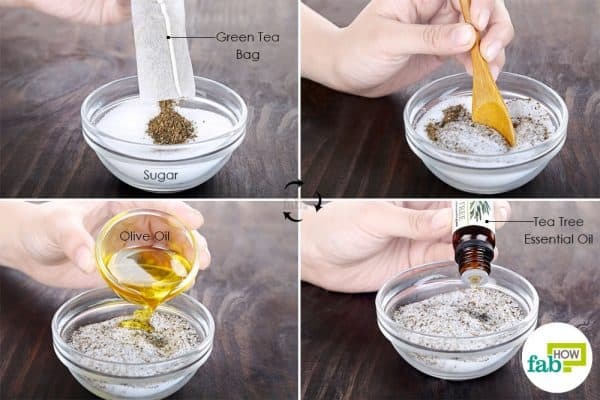 Use a spoon to uniformly blend the oil and the dry ingredients. Blend 3 or 4 drops of the food coloring of your choice into the mixture. This is optional. Apply the mix on your feet, and scrub it over the hardened skin in small, circular motions for 3 to 5 minutes. Rinse your feet with water and pat them dry. Finish by applying a thick moisturizer. You can store the remaining scrub in an airtight container for 2 to 3 weeks. If you are a coffee maniac, then you surely are left with plenty of coffee grounds on a daily basis. 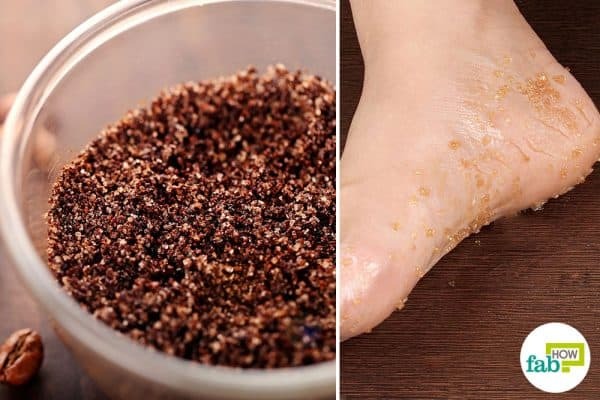 Instead of throwing them away, use them to prepare a coffee-based foot scrub. Similar to cinnamon, coffee is rich in antioxidants that will help revitalize the dull skin of your overworked feet. 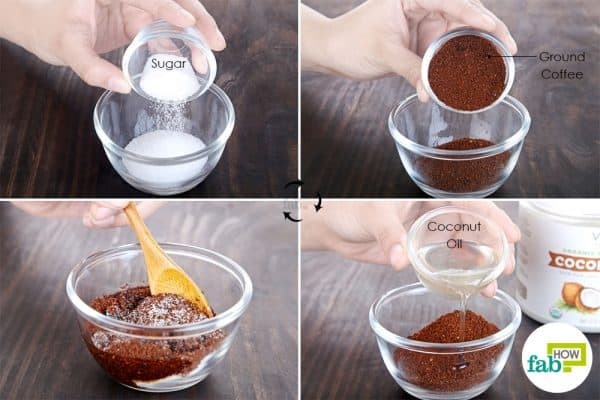 The coarse coffee grounds will also work as an exfoliant, along with sugar. This scrub also uses coconut oil as a moisturizing agent. Put 1 tablespoon of granulated sugar in a mixing bowl. Add 2 tablespoons of coffee grounds. Add 3 tablespoons of extra-virgin coconut oil. Using a spoon, mix all the ingredients well. 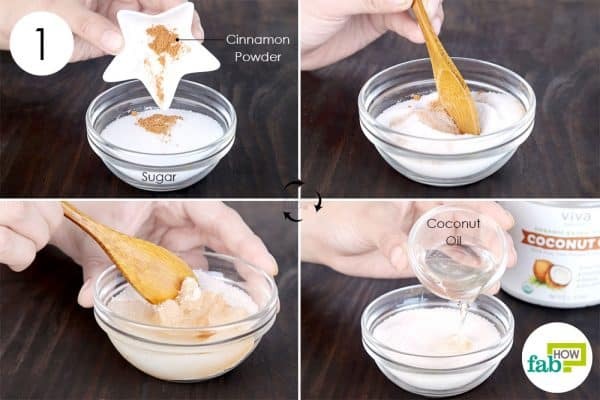 Scrub your feet with the mixture to keep them soft. The shelf life of this DIY foot scrub is 2 to 3 weeks when stored in a dark and cool place. 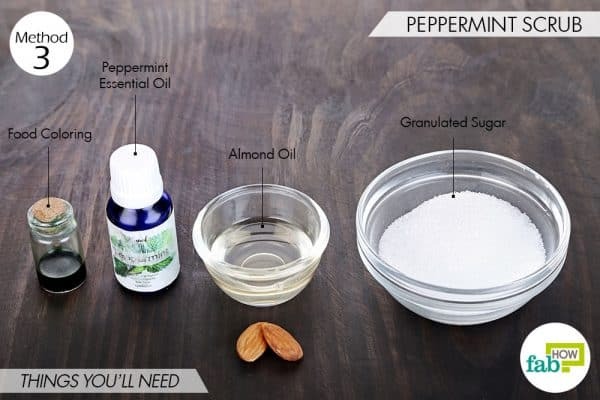 Another popular homemade foot scrub recipe is this peppermint scrub. Peppermint essential oil works as an antibacterial agent to prevent infections in the cracked skin on your feet. It also leaves a cooling sensation on your skin that helps relax tired feet after a long day at work. In addition, this scrub uses almond oil that is rich in vitamin E and will deeply nourish the dry skin. 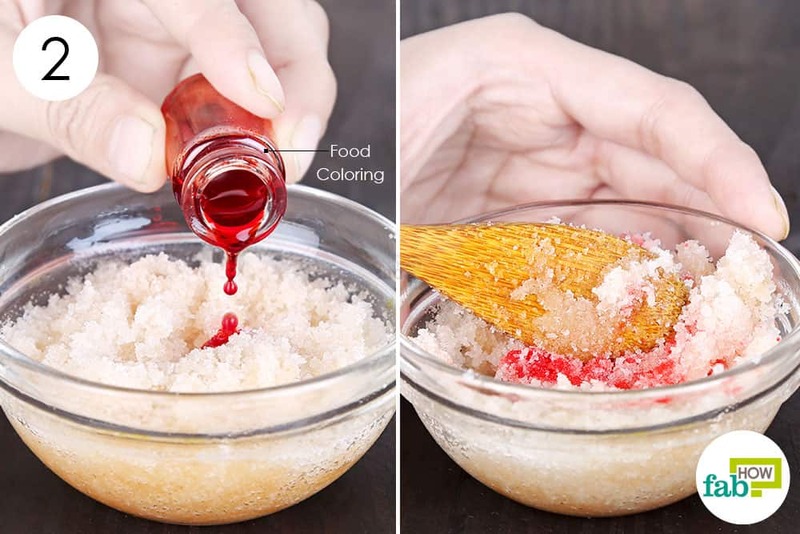 You can also add in a food coloring of your choice to make the scrub more appealing. 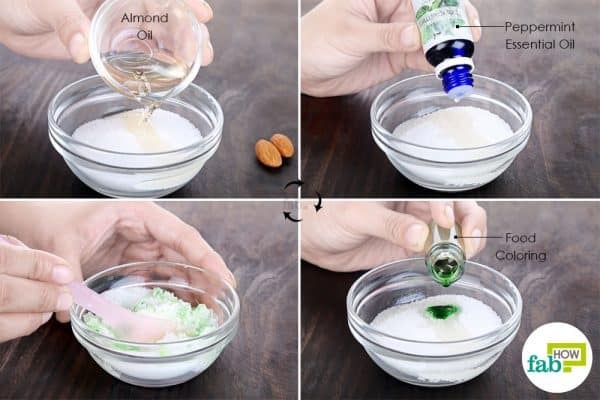 Add 1 tablespoon of almond oil to it. Add 4 or 5 drops of peppermint essential oil as well. Finally, add 1 or 2 drops of any food coloring of your choice. This ingredient is optional. Use the blend like a regular foot scrub to maintain happy feet. The shelf life of this scrub is 2 to 3 weeks when stored in an airtight container in a dark and cool place. 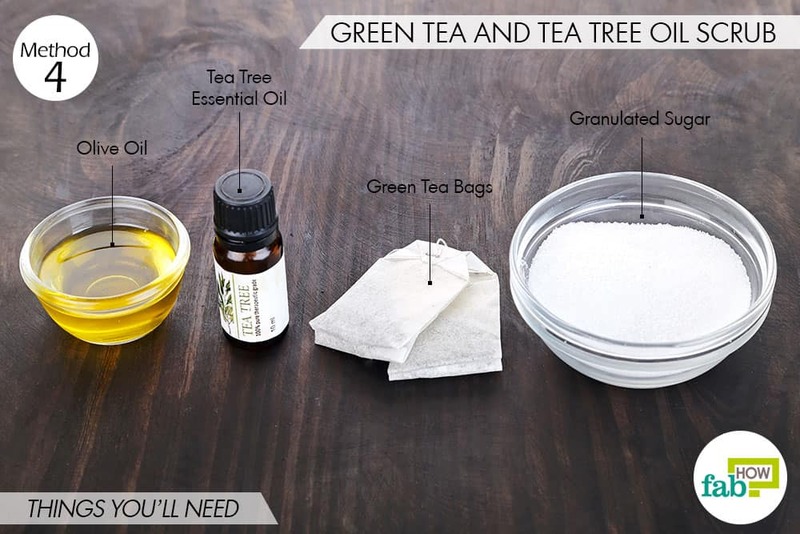 No DIY list is complete without a homemade foot scrub recipe that uses green tea. Even in foot scrubs, the anti-inflammatory green tea can soothe irritated and inflamed skin. This scrub also uses tea tree oil that serves as an excellent antibacterial and antifungal agent to keep skin infections at bay. This homemade scrub uses olive oil as the moisturizing agent and will leave your heels soft and smooth. Open up and add the contents of 2 green tea bags to the sugar. Squirt in 4 or 5 drops of tea tree essential oil. Add 1 tablespoon of olive oil. Mix well and use the scrub to maintain healthy feet. 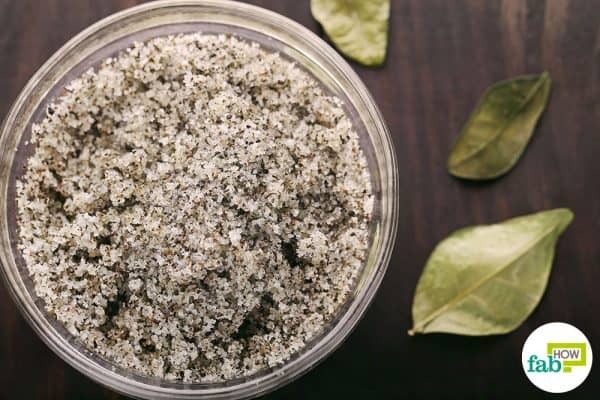 The shelf life of this DIY scrub is 2 to 3 weeks when stored in a dark and cool place. Use any of the DIY foot scrubs twice weekly to maintain happy and healthy feet. Since coffee grounds can clog up your drain, place a coffee filter over the drain to avoid blockage. All of these scrubs contain oil. So, be careful walking around as the oil can make you slip, especially on tile floors like in bathrooms. Apply some coconut oil or any thick moisturizer after using a foot scrub to protect your freshly exfoliated skin. Avoid walking barefoot to prevent cracked heels. While we have mentioned the approximate shelf lives of these scrubs, check your scrub before using it. Throw it away if it smells odd or if you spot any mold developing. Scrubs that contain essential oils should be stored in dark-colored jars to maintain the potency of the oils. You can prepare smaller batches to avoid the hassle of storing it and prevent any possible waste.